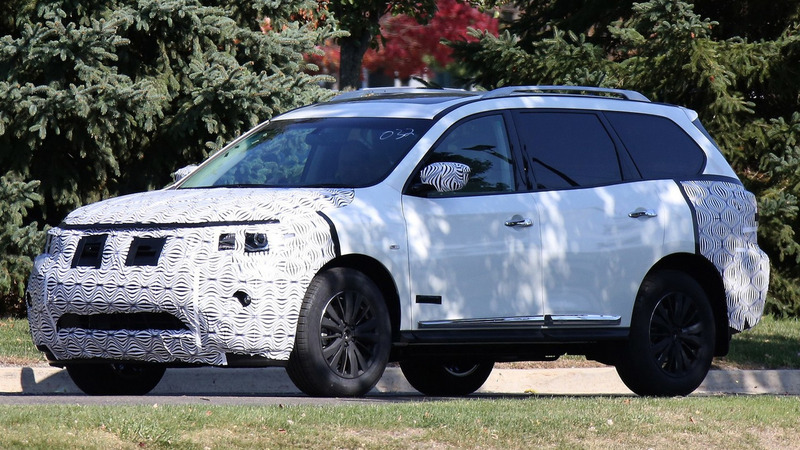 The facelifted Nissan Pathfinder was caught out in the open testing on the streets of Farmington Hills, Michigan. 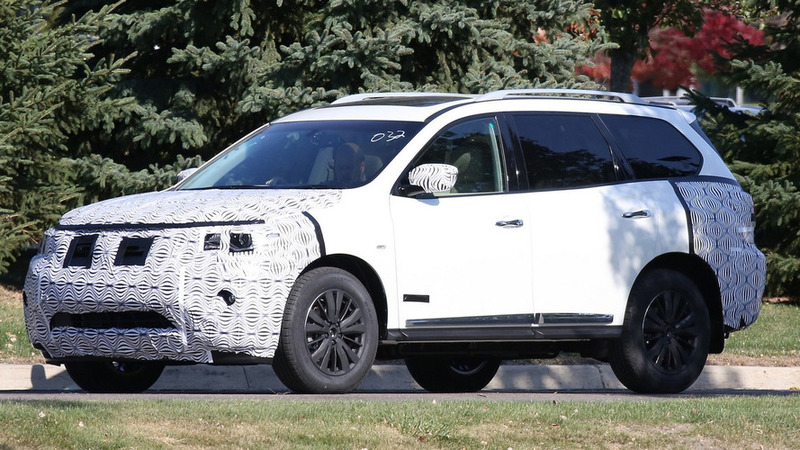 It was only yesterday when we published a set of spy images with the upcoming facelift for the Infiniti QX60 and now the sister model Nissan Pathfinder was spotted featuring just about the same amount of disguise. It’s about to get new headlights and the latest iteration of the company’s V-shaped grille while the front bumper should also go through mild cosmetic surgery. As for the rear end, it’s less masked by the swirly disguise which hides the remodeled bumper and perhaps some changes to the taillight graphics. Just like with the aforementioned Infiniti QX60 facelift, it’s not known at this point whether the refreshed seven-seater Pathfinder will come with some mechanical upgrades. In its current configuration, the SUV is powered by a V6 3.5-liter engine rated at 260 bhp (194 kW) and 240 lb-ft (325 Nm) of torque teamed up exclusively to an Xtronic CVT (continuously variable transmission). This hardware combo grants the model with a fuel economy of 20 mpg US (24 mpg UK or 11.7 liters / 100 km) in the city and 27 mpg US (32.4 mpg UK or 8.7 liters / 100 km) on the highway. 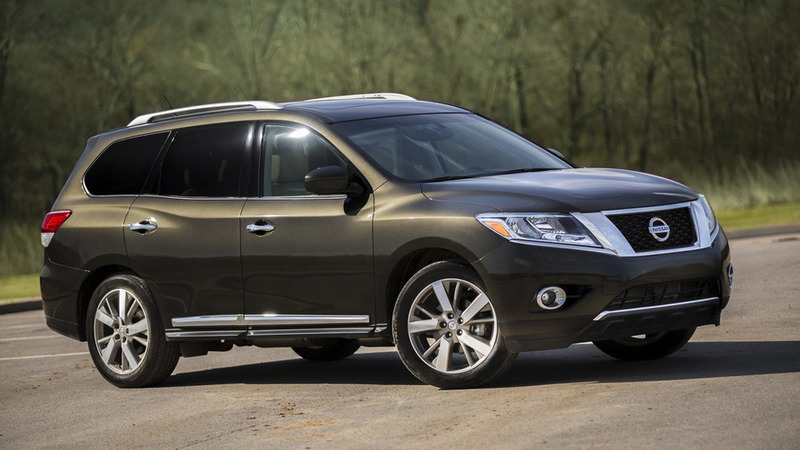 Expect the Nissan Pathfinder facelift to be unveiled in January at the North American International Auto Show (NAIAS) in Detroit where the revised Infiniti QX60 has already been confirmed to debut.